We are living in an exciting time period where Consumers have more options to choose from than ever before. Therefore, as a business owner, you have to work harder than ever to reach your target customers online. But how? Is it possible to reach, engage, and convince them to buy your products? Yeah! 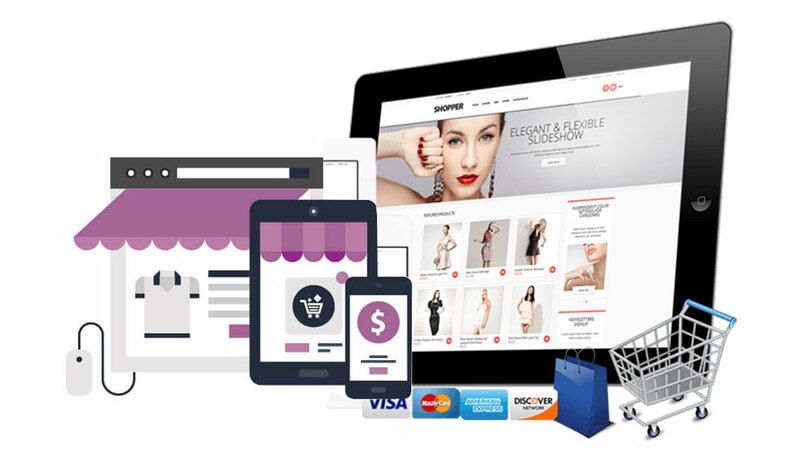 The ultimate solution to accomplish this is a well-structured E-commerce website design. Here are the reasons why your business needs an e-commerce website…..
To broaden your Brand globally. To expand your marketing opportunities and efforts. To stand out in your marketing field and beat competition from your Contenders. To gain trust and improve professionally empowering relationship between the shopper and you. How to Set Up an E-commerce Website? To create an online store that’s successful, these are the perfect and tricky steps. Before planning to set up an e-commerce website, do some research to make sure your product is viable. Is there the same product already in the online market? If there, consider whether your product is unique enough to beat the competition on pricing? If you feel it is good enough to bring profits, you can select that product. If you price low, you’ll lose money, if too high there are not enough sales and you lose sales and money. Therefore, first figure out your business finances and research how your competitors changing prices. If you are selling physical products, you have to offer shipping services. About 44% of people abandoned online shopping due to high delivery charges. So, consider offering free shipping or free shipping for orders of a certain size. Find compatible hosting options (Bluehost, GoDaddy, or Hostgator) that offer you enough data, web space to list your products. If you are new to the eCommerce web design, hire any company to build your website. Once you set up your website, you have to add the Content that describes your products. In addition to your products page, your eCommerce website should have the following pages. A Blog (to post updates and news). E-commerce website needs a way to receive money – maybe credit/debit cards, or internet banking. Hence, to accept the money from your customers set up a merchant account with all options including PayPal etc. Be sure to install an SSL certificate to keep your customers’ transaction information safe. This certificate provides the green lock next to your website URL. An SSL certificate encrypts all the sensitive information customers provide so that hackers won’t be able to grab credit/debit card information. This will create trust among customer and ultimately they buy your products. Now you can start thinking about promotion. Install Social Media sharing buttons, update content regularly to start getting people to your website. Ecommerce websites are the best platforms to boost online sales. Contact us and get a free quote today at Dave Creation, a web design company in Ahmedabad, India to possess a productive and successful e-commerce website.